FULTON, STEPHEN, merchant, shipowner, shipbuilder, and politician; b. in 1810 in Wallace, Cumberland County, N.S., son of William Fulton; m. first Julia Ann Heustis, who died childless in 1844; m. secondly Sarah Elizabeth Black, and they had two sons and five daughters; d. 23 Oct. 1870 of typhus at Wallace. Stephen Fulton’s great-grandfather, Thomas Fulton, emigrated from Ireland and settled in Cumberland in 1769. Nothing is known of Stephen’s early life, but his father was apparently a farmer. At age 20 Stephen was converted to Methodism and took an active role in his church for the rest of his life, serving as circuit steward, leader, and trustee. By the 1850s Fulton had become a merchant and shipowner in Wallace at a time of rapid economic development on the north shore. He was not deeply involved in shipping, but in the mid 1850s he built or commissioned four vessels, of which two were soon sold in Newfoundland and one in Liverpool, England. Apart from extensive land holdings, probably inherited from his father, his main business activity was as a merchant and ship-chandler. Eventually he constructed a warehouse, a wharf, and a sawmill. At his death he left his business to his son Allison, whom he had admitted as a partner some years previously, and the bulk of his land to his other son, William. During the 1840 provincial election Fulton was recruited as a last-minute Tory candidate in Cumberland County when the incumbent, Andrew McKim, died during the campaign. Only 30 when he entered the assembly, Fulton had neither the experience nor the temperament to make a marked impression. It was 1845 before he first was appointed to a standing committee, and not until 1854 did he chair a standing committee, the committee on printing, which controlled lucrative forms of patronage. Although a consistent Tory supporter in the 1840s, he was not a violent partisan. The legislation he introduced as a private member tended to deal with county roads, lighthouses, and pilotage. He was a member of the Sons of Temperance and on one occasion his refusal to drink wine at Government House caused ill will with Lieutenant Governor John Gaspard Le Marchant*. 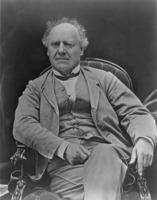 In 1850 Joseph Howe* proposed that the government build a railway from Halifax through Cumberland to connect with a proposed railway in New Brunswick. Fulton, like other Tories, not only feared the centralization of political power inherent in this government project, but was also unenthusiastic about a rail link to Canada. He recognized, however, that such a railway would tie into a proposed link to Portland, Maine. North shore merchants were usually interested in improved communications with the United States, and there would be an opportunity to compete with New Brunswick for a share of the trade between the United States and Prince Edward Island. Thus, Fulton supported the railway enough to be compelled in 1851 to vote against Conservative leader James William Johnston*. In the 1851 general election tension developed between Fulton and other Tory candidates when he refused to support their vituperative campaign against the railway and Howe, who was also contesting a Cumberland seat. Two candidates withdrew, however, and Fulton and Howe were elected by acclamation. Fulton’s political conversion was a victory for Howe, but in 1852 the assembly set aside the election because of improper election procedures. In the ensuing by-election Fulton reasserted his support for Howe and using a sectarian appeal to his fellow Methodists emerged at the head of the poll. Despite this success Fulton continued to face opposition in his county, particularly evident in 1853 in a petition signed by several hundred shipyard workers in Wallace protesting against his support of the railway. With Howe’s help he managed to obtain funds for several county projects, and in April 1854 he was appointed minister without portfolio in the Liberal administration of James Boyle Uniacke*. This appointment was part of an important shift in alignment in which a second Tory, Lewis Morris Wilkins*, became provincial secretary and a third, Stewart Campbell*, became speaker [see Killam]. Fulton’s position was not helped when the assembly decided to build the long-awaited railway not through Cumberland but to Hants. In the Joggins area he also faced opposition from the General Mining Association, which objected to the government’s attack on its mining monopoly. In 1855 Fulton was defeated by Charles Tupper* and Alexander MacFarlane*, but in 1857 the Liberal government, before being forced to resign, appointed him custos rotulorum of Cumberland. He also lost the 1859 election,. in part owing to a recent adjustment of the border with New Brunswick, changes in the election law which deprived him of several hundred votes, and an unusual action of the sheriff in disqualifying voters in the election. This campaign marked the effective close of Fulton’s political career. He had served as a justice of the peace since 1842 and was not removed as custos rotulorum when the Tories came to power in 1863. Fulton had served as a trustee of the local academy from 1842 to 1858, and from 1862 until his death as a school commissioner in his county. He was a supporter of Tupper’s free school legislation of 1864–65. 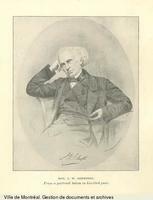 He may also have been the Stephen Fulton who was appointed to conduct the provincial census in 1861. Fulton later abandoned his preference for trade ties with the United States and spoke in favour of confederation. He declined to run in the 1867 election but seconded the nomination of his old rival, Tupper. Apart from his involvement in the railway controversy, Fulton had not played a large role in provincial politics and his death in 1870 attracted little notice. He had been a useful member of the assembly, however, and his career illustrates the strong influence of county politics on the tone and conduct of provincial affairs. Furthermore, his independent approach shows why political innovations and clear party divisions were so difficult to introduce in Nova Scotia. Cumberland County Court of Probate (Amherst, N. S.), book E (1842–72), ff.359–62, will of Stephen Fulton (mfm. at PANS). PANS, RG 5, R, 62, 1851–52; 88, Cumberland election, 1859. Morning Chronicle (Halifax), 1870. Novascotian, 1840–60. Wesleyan (Halifax), 1840–60. Some North Cumberlandians at home and abroad, past and present (North Cumberland Hist. Soc. pub., 2, [Pugwash, N.S. ], 1965). Cyrus Black, Historical record of the posterity of William Black . . . (Amherst, N.S., 1885). Ships of the North Shore: Pictou, Colchester and Cumberland counties, comp. P. R. Blakeley and J. R. Stevens (Maritime Museum of Can., Occasional paper, 11, Halifax, 1963). K. G. Pryke, “FULTON, STEPHEN,” in Dictionary of Canadian Biography, vol. 9, University of Toronto/Université Laval, 2003–, accessed April 24, 2019, http://www.biographi.ca/en/bio/fulton_stephen_9E.html.